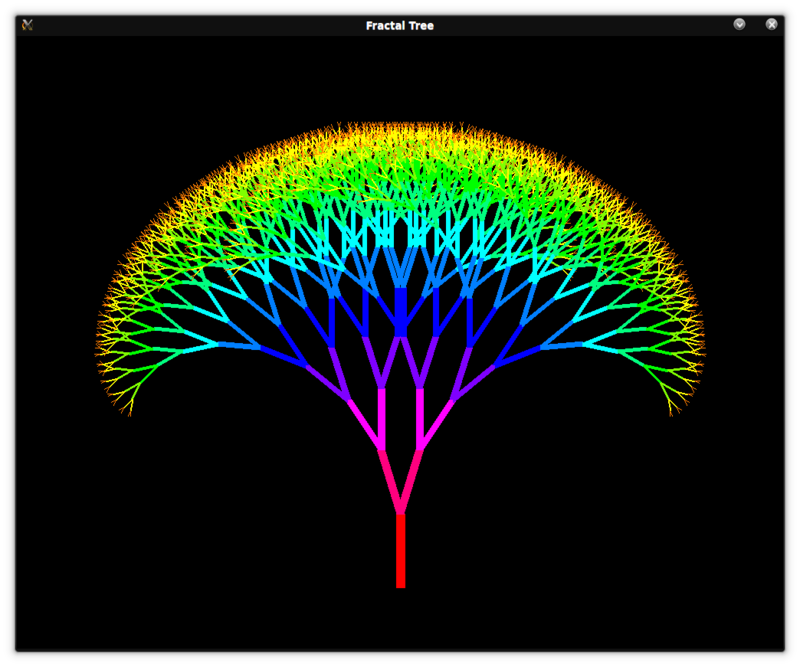 This program draws a ‘tree’ by drawing a trunk (initially; later it’s a branch) and appending a tree, recursively. Uses Pillow. #   to parameterise, and add colour.